as i was preparing above header (update! header now changed again), i got thinking about what it offers the viewer, besides it being the perfect companion to woolfenbell-in-summer. all items, from back- to foreground, are vintage. 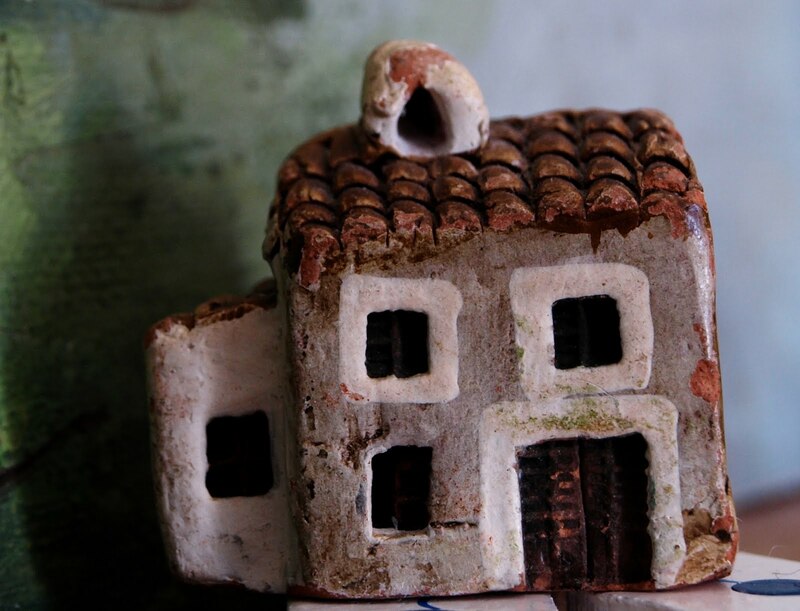 the little house was rummaged amongst rubble, as old houses usually are. in my dreams, this house is it. in reality, it is this: a little stoneware gem. the animal to the right is a goat, if you'd ask me. 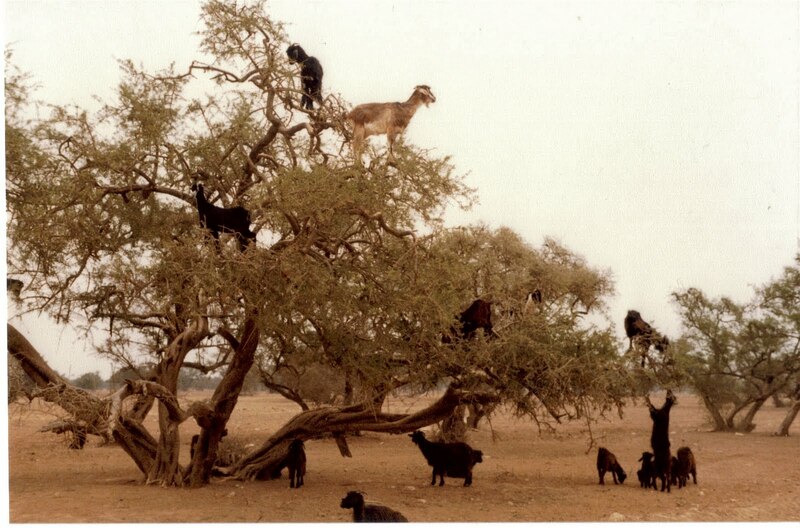 goats sometimes 'hang from' trees. this little copper beauty pulled my attention for being tiny and seemingly smart. oh, and big as a house, of course, as the header shows. in the middle sits an enigma. the bottom side being a spool i unintentionally glued to the earring ball above. this image totally explains moi. the ball came undone, it needed mending. i unhooked it and glued it together again. then i needed it to rest on a support. how about an old plastic spool? ☻ chances are i won't be able to pull it off its stand no more. i will just have to go through life in a pair of sphere earrings, one ball slightly out of character, for dragging a cotton spool to it. i can't decide. left or right ear? summer does weird things 'rond here. sophie's attic too today! 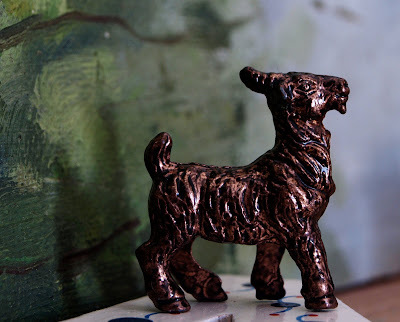 that goat looks incredibly dignified. thanks for the visit! 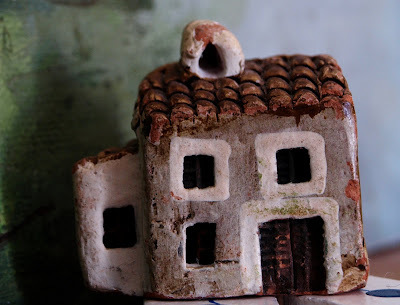 I think I had one of those little houses when I was young - a souvenir from a holiday in Menorca. They are so sweet. PS having trouble leaving comments on blogger these days, it gives me 404 error. wow... such a teeny tiny house! i didn't realize how small it was until you mentioned the earring ball. It is so charming... reminds me of scenes of picturesque cottages out in the country. The perfect blend of age and functionality. The house is wonderful, and either extremely tiny or you have very large earrings of the Pat Butcher persuasion! Beautiful wee cottage fit for elves! 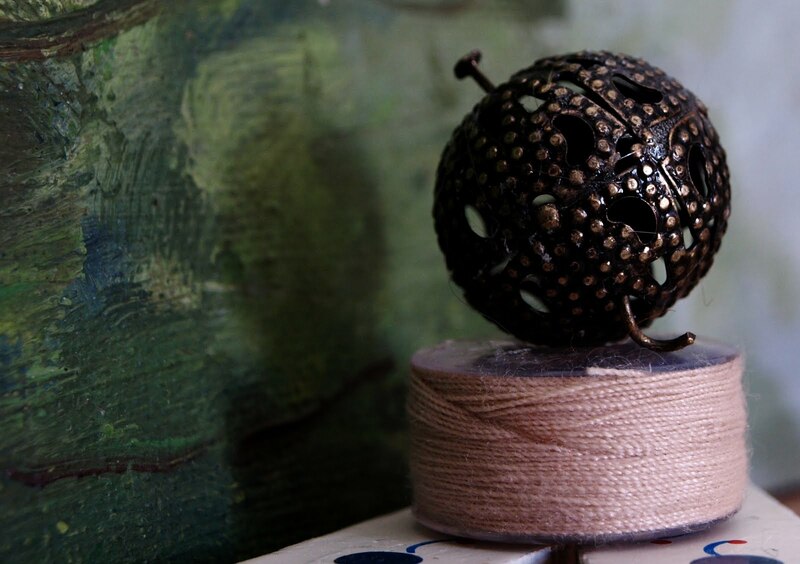 Thats a great little house, and agree, keep the decorated spool, its very quirky, I love it! That photo of the climbing goats makes me laugh!! !